The First World War changed the face of Europe - two empires (the Austro-Hungarian Empire and the Ottoman Empire) collapsed in its wake and as a result many of the boundaries of Europe were redrawn and new states were created. The origins of many of the international crises in the late twentieth century can be traced back to decisions taken in these critical years, Yugoslavia being the most obvious example. 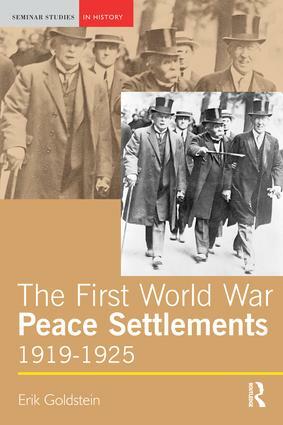 An understanding of the peace settlements is thus crucial for any student studying international history/international relations, which is what this book offers. This book provides and accessible and concise introduction to this most important period of history.